Box Relay, co-developed with IBM, is a workflow tool that automates and standardizes structured document workflows. "Box Relay for Sharing & Streamlining Your Team's Work"
I like that there's a visual interface and that templates can be shared by multiple team members. There are lots of work flow and diagramming programs/apps out there. Each has strengths.. 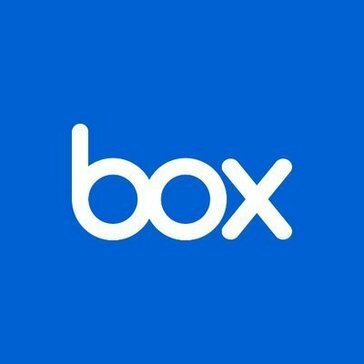 Box's strength is that many different aspects of work can be managed and share using a single platform. Personally, I fund most workflow apps not as useful as simply doing the work, but are an easy, non-threatening way for more senior team members/leaders to share "how-to's" with less experienced staff or team members. How important is it that you standardize work/task methodology? If it's important and /or if you have quality assurance concerns, Box Relay may be a good option for your organization. Also, if you have lots of files to share, work in a range of locations, need to share info across teams and places.. All of this contributes to making Box Relay a better choice than other less integrated apps. Relay is useful for codifying work methodologies. Team members can use the resulting templates as guides. They can also propose changes, make suggestions, and question how work is handled. Additionally, the resulting templates provide useful checks to be sure work is done to the quality level required without missing any component. "Goo tool to have good flow at work"
You can create workflows where you can additionally add even to anyone, be it a supplier or a customer. In order to carry out the work, you add the steps, actions and expiration dates. The same Box Relay already has certain templates that are easy to edit. Being a tool that is corporate use does not have much storage, the free account allows 250MB and the Starter Business account only 2GB, there are cloud services that in free versions allow you much more storage. If you want to maintain good fluency when working with your clients or suppliers, this is a tool that will make your job much easier and even improve response time. Box Relay helps a lot in terms of improving the process when performing the tasks to achieve the job, it is very intuitive and makes the job easier. "Better lower price than more features"
It is a important feature required for many crm and erp. When creating and sharing a doc, you never have any feedback again about it. Many calls and emails to receive info about doc, now can avoid. IBM as partner is an added value. "Smooth and fast way to accomplice multi-department assignments. " Once a task is completed it will immediately move on to the next people. You don't have to worry about the responsibility of spearheading an assignment or babysitting other people. Complete your assigned task and pass it on. I'm still trying to find the downside to this software. I like how seamless Box Relay works with Box. Box Relay shows the project in real-time. This keeps everyone on the same page and on task. "Helps speed up workflow and efficiency"
Not needing to know how to code (and/or be an IT person) is no longer a problem when you use Box Relay, which is super useful when you're still learning how to. Some of the interface can be hard to use at times. Congregating all of my tasks into one place is much easier with Box Relay. "We used it as a our DAM"
Too simplistic. Not enough knowledge management repository for us to search for help. I think it's a great SaaS, i would recommend it again. We needed a DAM, especially one that integrated well with our other IBM Products. * We monitor all Box Relay reviews to prevent fraudulent reviews and keep review quality high. We do not post reviews by company employees or direct competitors. Validated reviews require the user to submit a screenshot of the product containing their user ID, in order to verify a user is an actual user of the product. Hi there! Are you looking to implement a solution like Box Relay?